Standing on Antelope Island. Across the salt flats Salt Lake City in the distance on the left. 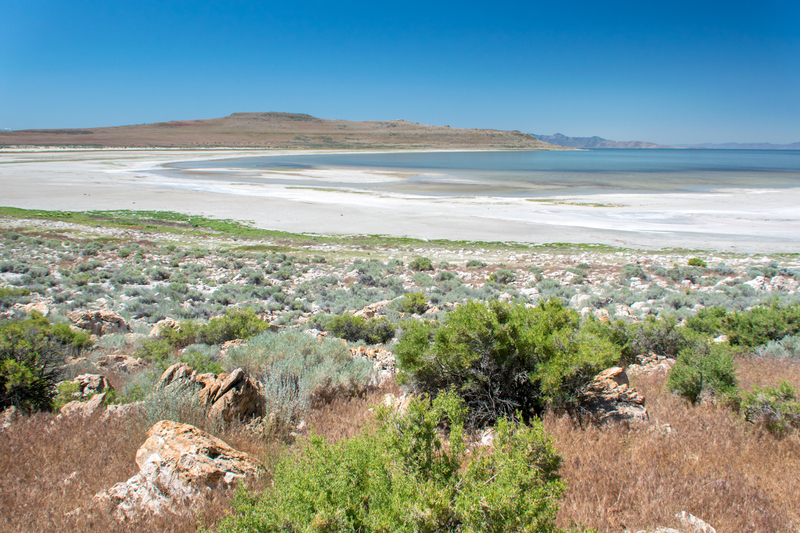 Antelope Island is the largest island in the Great Salt Lake. 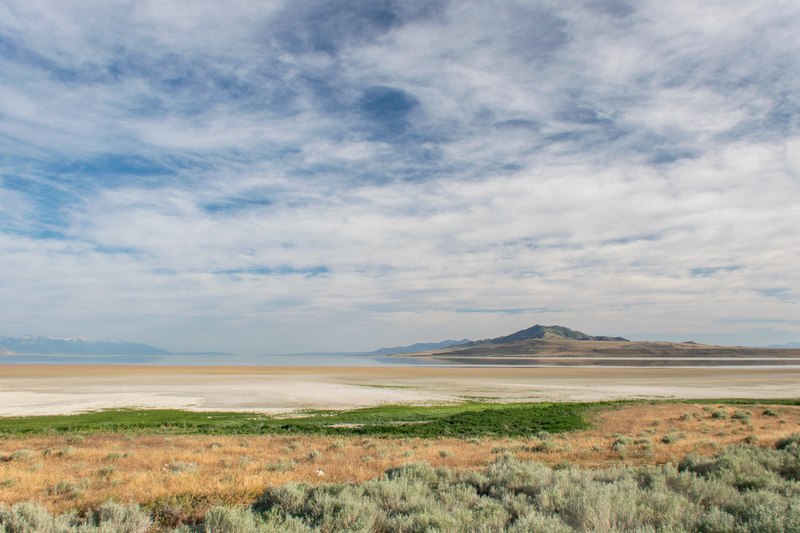 The lake itself is the remnant of Lake Bonneville, a prehistoric lake that covered much of this part of Utah. The lake is highly saline thanks to having no outlet. 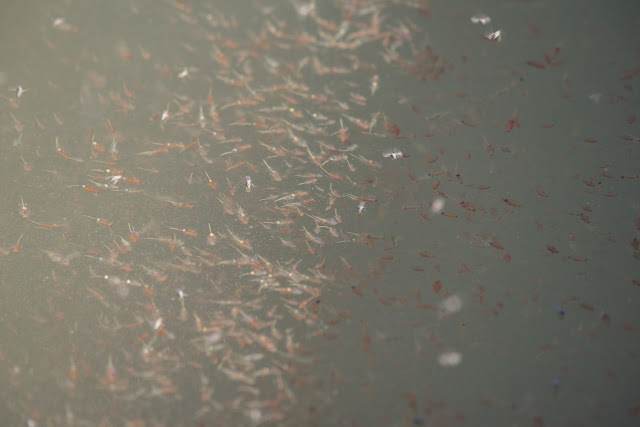 All that lives within the lake is algae, brine shrimp, and brine flies. To reach Antelope Island you drive over a very long causeway from Syracuse/Layton, northern suburbs of Salt Lake City. As you drive brine flies will hit your windshield like a hard rain and turn any car that isn't black the color of dead flies. This may sound horrible but you will be too busy gawking at the hundreds of birds in the shallows and on the salt flats to care. As I drove gulls, avocets, and black-legged stilts feasted near the shore. Human history on the island goes back over 6000 years. The island got its name from John C. Fremont and Kit Carson, the first explorers of European ancestry to investigate the island, who observed pronghorn grazing on the island's fine grasslands. 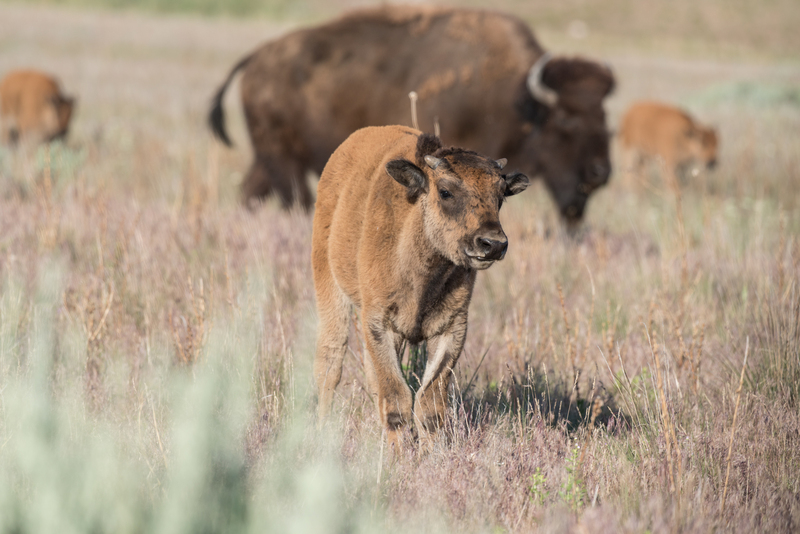 Pronghorn aren't the only animals you will encounter here. It's a bird migration paradise. 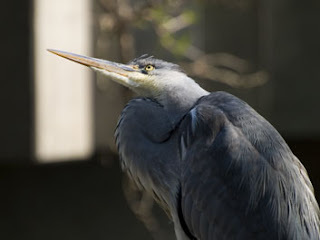 I would see squadrons of white pelicans circling the island's heights along with White-face Ibis heading toward water. 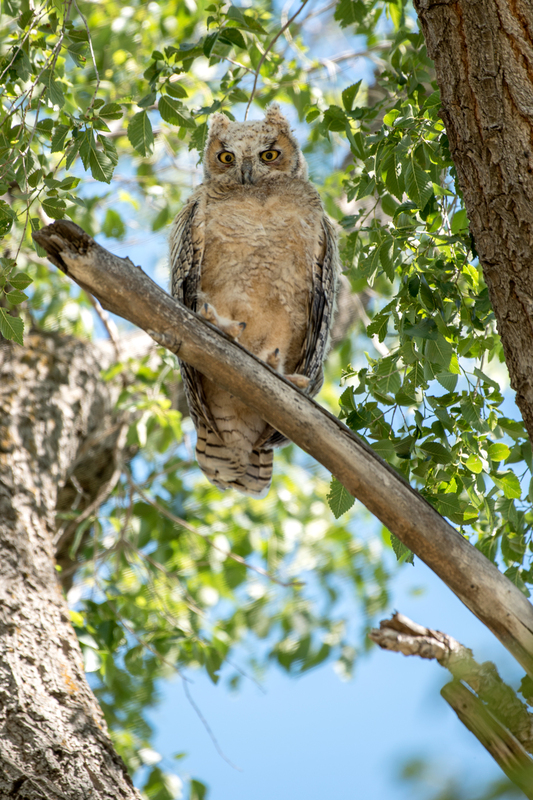 Red-tailed hawks, harriers, and kestrels hunted the grasslands from the height of the sky. Western meadowlarks, lark sparrows, Brewer's blackbirds, cowbirds, willets, phalaropes, grebes, collared doves, robins all made appearances. A chukar posed on a rock on the side of the road seemingly just for me. I caught a brief glimpse of a burrowing owl and spent time with a mother Great Horned Owl and her three offspring. 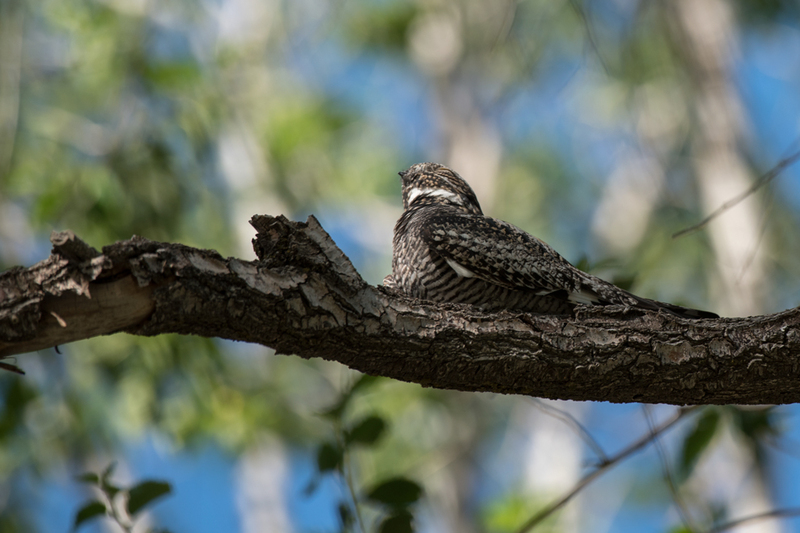 Near them lurked a nighthawk sleeping away the day waiting for dusk to fall. 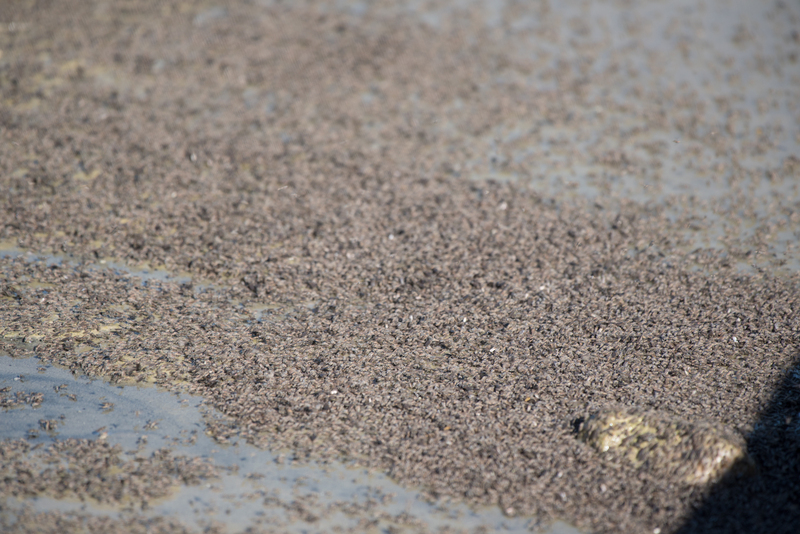 Lizards skittered across rocks and a black snake slithered across the road. A pheasant and mule deer enjoyed wandering through the same bunch of bushes and disappeared into the shadows at the same time. 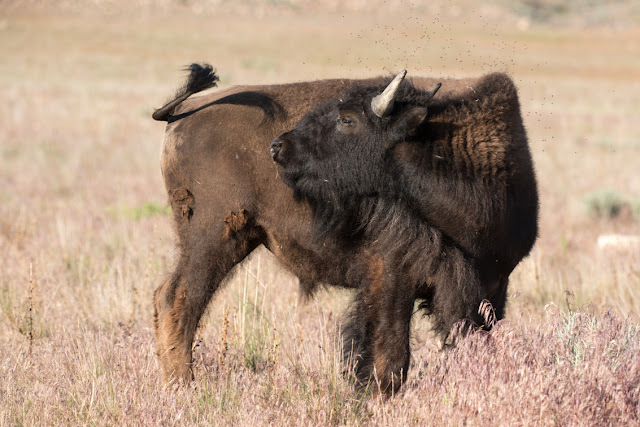 This is a lot for a day's sightings you'd thing but nothing comes close to the most marvelous buffalo jam I and Traveler Eleven, a fellow photographer, experienced. 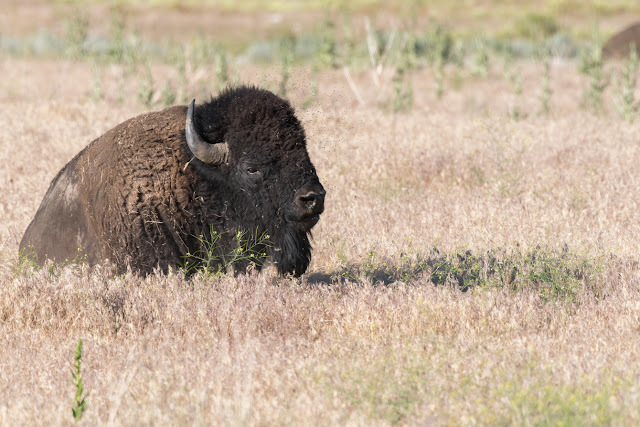 The buffalo were grazing in the grass on a slope above us but soon moved en masse to the salt flats. We, still in our car, were right in the middle of this short migration. 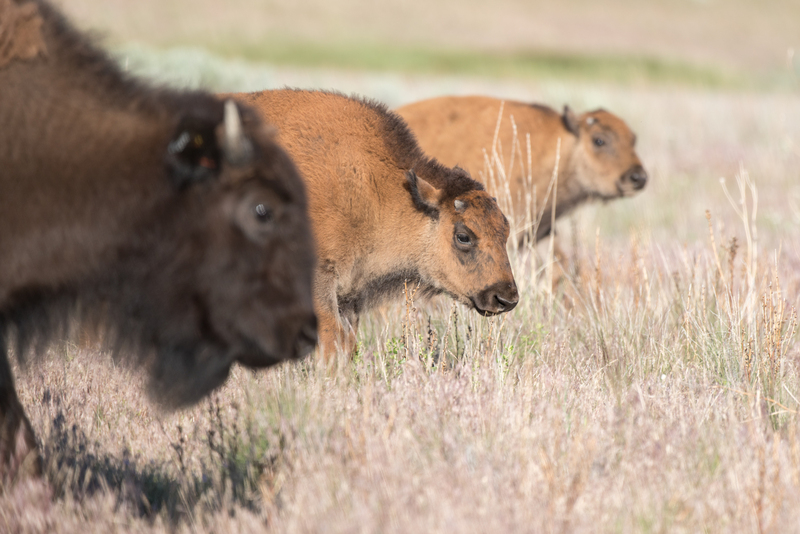 Young bulls bounced heads mock fighting and baby buffalo gamboled by trying to keep up with their mothers, whose heavy strength was awe inspiring. Clouds of flies swirled around them all like a living storm cloud. A short while later we saw a coyote on the prowl. 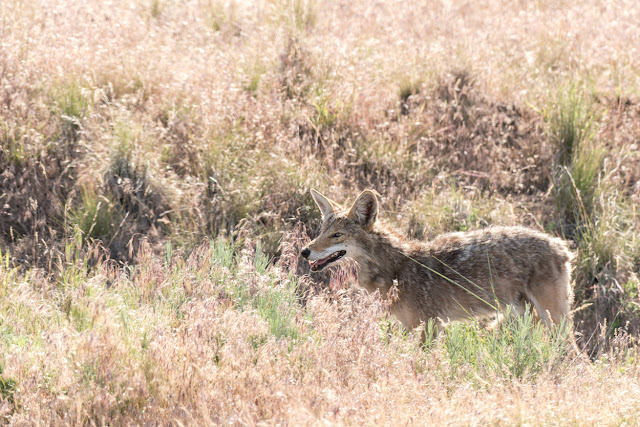 I would see another coyote later that afternoon. 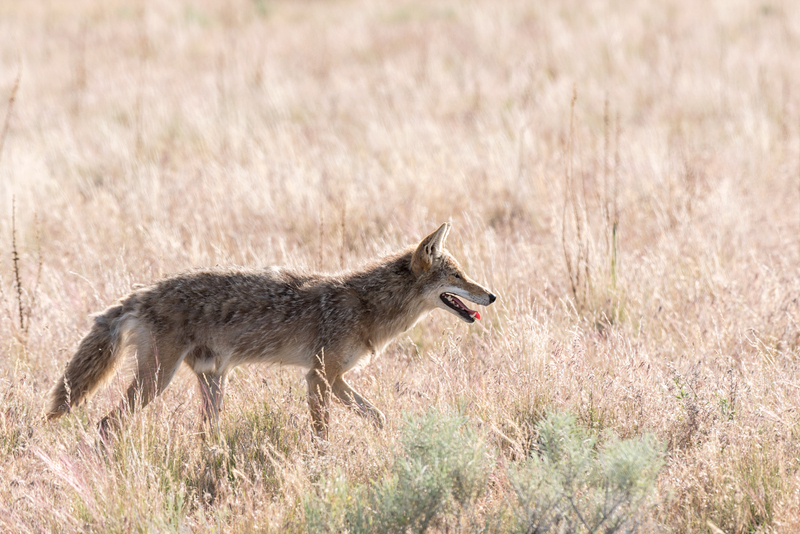 We saw desert cottontails, hares, and pronghorn, one with a massive lump on its neck, some sort of growth. In the hot dry landscape life abounds. Looking at the lake and the salt flats. This is a rather impressive bull enjoying the afternoon sun. If you look closely you can see the cloud of flies around his head. 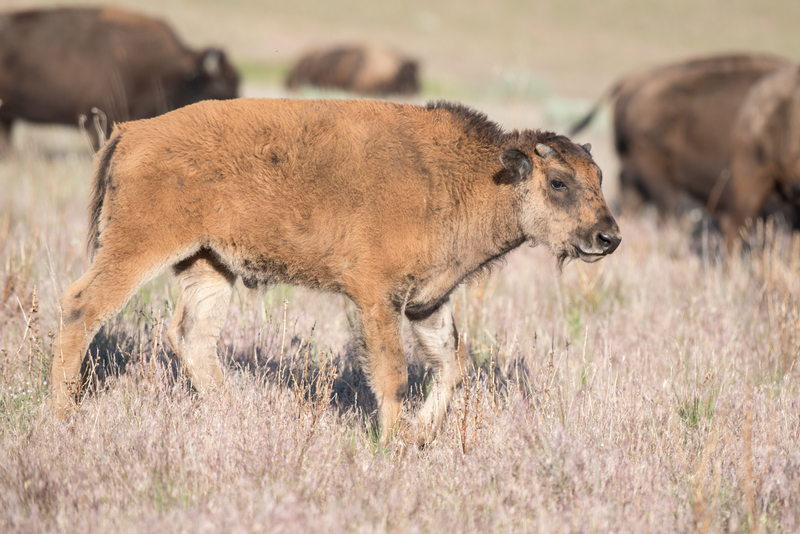 Also, it was while reviewing photos of this bull that I discovered that buffalo's tongues are bi-colored and they are long enough to reach up the buffalo's nostril. A younger bison again showing the plague of flies they contend with. 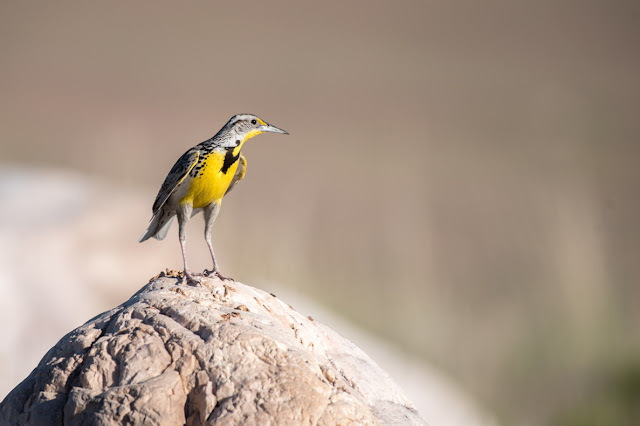 Western Meadowlark. I love meadowlarks. I wish the Eastern Meadowlark was as visible in its old ranges as the Western is but habitat loss has put them in very serious danger. 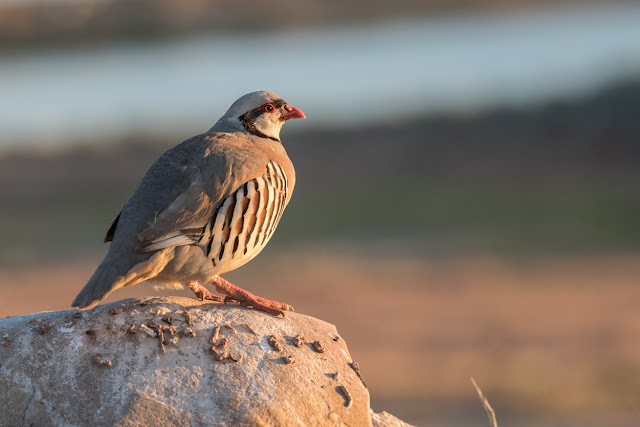 My first and only (so far) look at a chukar. This is an invasive species. Right before the best buffalo jam in the world began. 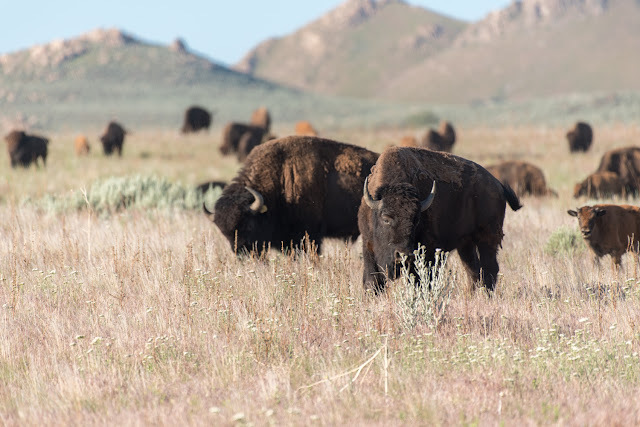 The buffalo begin to move. 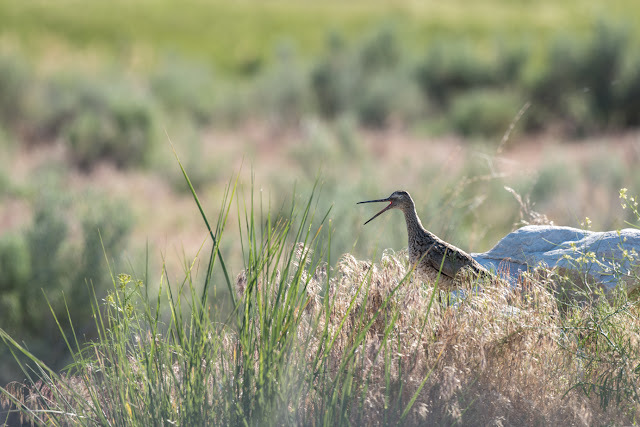 A Willet calling for its mate. 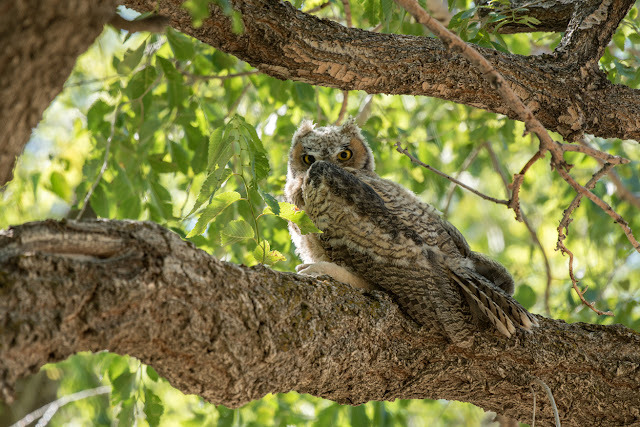 Female Great Horned Owl looking down on me. One of the three offspring. 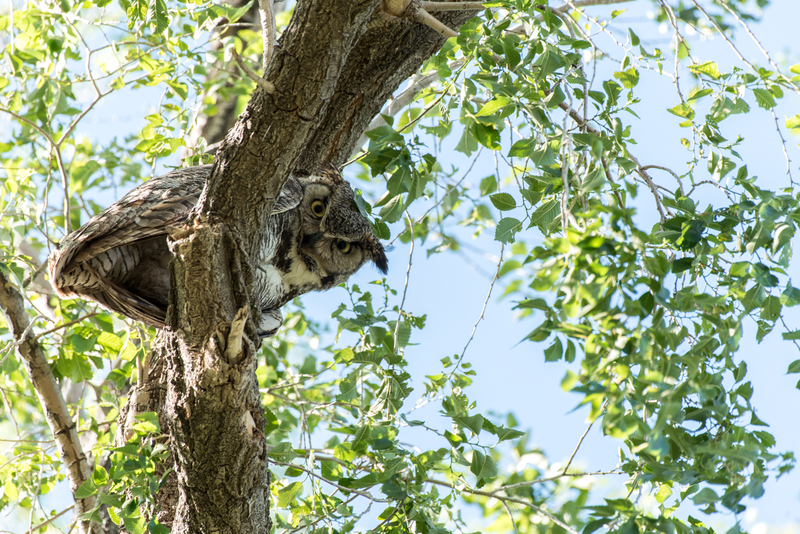 Another juvenile Great Horned Owl. 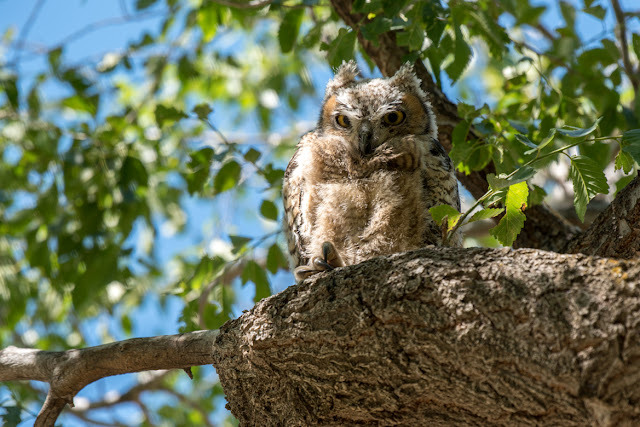 And yet another of the juvenile Great Horned Owls. A nighthawk napping its way through the day. A last look at the island before leaving Utah for the time being.